Shhhhh! The Universe is watching and It’s Dark Out There. That’s The Three Body Problem’s message; a book written by Cixin Liu. For most Nerds The Three Body Problem is a classical Physics problem: Given masses, current position, and velocity of three bodies (a special case of the n-body problem) there is no way to analytically calculate the motion of these bodies. The author takes this problem and crafts a spell-binding trilogy (The Three Body Problem is book one) starting with three Suns in erratic orbits causing chaos on the planet Trisolaris. Meanwhile a Chinese Scientist discovers a technique to broadcast RF throughout the Universe using the Sun as an amplifier, and of course Trisolarians receive the signal and respond or the story would be short and boring. They rejoice for they have found another inhabitable planet within 4 Light Years without the disastrous climate swings experienced by a planet in an erratic orbit around 3 Suns. What luck! Of course the Solarians set off to make the Earth their new home. However, since 4 Light Years is a long way off unless you can travel at the speed of light the Earthlings have several centuries to prepare for their coming. Well, the story marches on for seemingly eons of time with both adversaries gaining the advantage from time to time. And just to make the saga a little more interesting the Dark Universe weighs in from time to time. When the tale has been told and all is said and done (Ecc.) the triology is about the fate of the Universe, not just Trisolaris and Eath. The books provide the reader with many interesting hypotheses to ponder. For example, Einstein’s two Theories of Relativity declare the Speed of Light constant, but Time is not. Time slows down as gravity increases or relative velocity increases. That’s why clocks tick slower on GPS satellites and a theoretical Space Traveler would age less than their twin on the Earth. Does time slow down as the speed of light decreases? It does in Cixin Liu’s trilogy. I wrote this review a couple of week’s ago and never did publish it — 70 year old memory? Yesterday I read an interview with President Obama in the NYT times. The subject of the interview was reading. In the article the President mentioned The Three Body Problem was one of his favorite books. How cool is that? Me and the President have something in common. Click Here to read the interview. Also, the review jogged my memory. Hey, I ought to publish my The Three Body Problemreview. 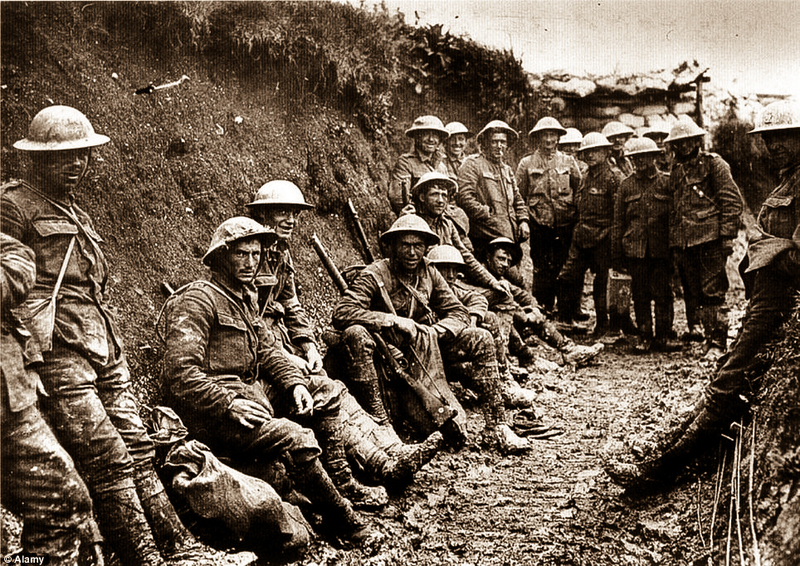 Fascinating book chronicles Europe’s stumbling into WWI – the War to end all Wars. The War that changed the World. Ever wonder why the Middle East is so screwed up? Or why Germany started WWI? Or why the Balkan population is trying to kill each other off? Or why the Communist ruled Russia for 70 years? Look to WWI for the answers. Actually Germany might actually be less responsible for the War than the other great European powers: France, Russia, and Great Britain. Great Britain was an anti-German since the War of 1870 disrupted the traditional balance of power in Europe that had existed for decades – a comfortable arrangement for Great Britain. Germany upset the apple cart. France was anti-German because Germany humiliated them with the War of 1870 – a war they fully expected to win against the upstart Germans. Russia embarked on a massive military buildup financed by the French after losing the 1905 war with Japan. They were searching for a way to redemm their national honor. Russia also considered themselves big brothers to their South Serbia brothers in the Balkans, mainly Serbia. Serbia in today’s environment would be considered a rouge nation and ostracized. The evidence is irrefutable that the Serbian “Black Hand” trained the assassins and supplied their weapons. However in the years before WWI there were no multinational organizations. Germany seemed to be the most reluctant nation to start the War. 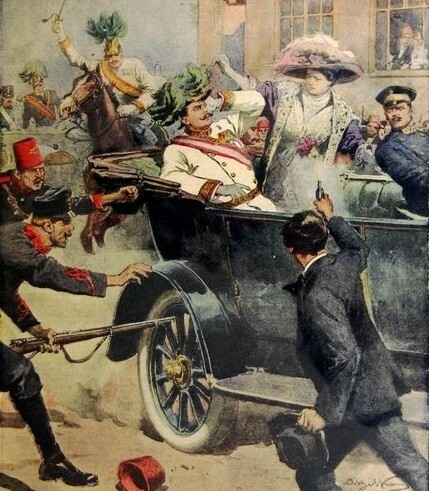 Their biggest fault may have been standing by their ally Austria-Hungary. France and Russia, on the other hand, were begging for war. England seemed uncertain which side to choose or if they should engage with either side. However, once the Germans determined there was no other option, they declared war on Russia and started marching! The Germans did invade neutral Belgium and committed what would be considered today war crimes. This action tipped the scales for England and they sided with the Franco-Russian alliance. Of course the winners write the history books thus we were all brought up to believe Germany caused WWI. Just finished reading Pilgrim at Tinkers Creek by Annie Dilliard. It is foremost a nature book along the lines of Thoreau’s Walden. However, on another level its a plea to be mindful of and find joy in the present. Its the type of book you should put down after a few pages to ponder the meaning of life, the origin of the Cosmos, and what your going to eat tonight. The book has two characters: Annie and Nature around Tinkers Creek although she discusses Eskimos so often you could probably consider them a character. Monarch butterflies veer East for a few miles and then turn South again when flying over Lake Superior. Some geologist visit believe a huge mountain once existed there. Eskimos look forward to the coming of Winter. Summer brings on terrible hordes of mosquitoes and melting of the ice sheets making travel harder. This book is for you if you love nature and sometimes think about the great things that really matter (apologies to Samwise Gamgee). A very, very long time ago I created a list of my 10 favorite books and have maintained and updated it ever since. I don’t remember the exact date I created the list but I’ve always enjoyed reading. When I was still attending the one room school (Sedwick) my mother would drive me into the the small village of Alexis to the library so I could check out another set of books to devour. I acquired a reading habit then that I’ve kept throughout my life. Recently I decided to read my 10 favorites again reasoning if I like them that much reading them again would be an enjoyable use of my precious time. The Grapes of Wrath was on my original list and has maintained its place on the list ever since. 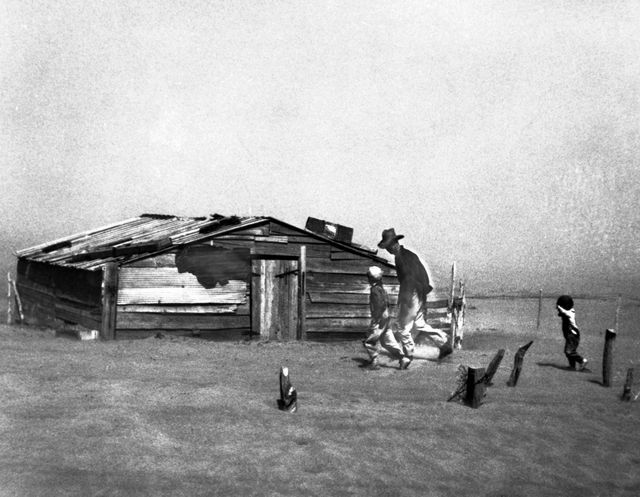 I just finished reading John Steinbeck’s saga of the dust bowl refugees last night. My first thought after closing the book was to pull it from my favorites list. Back in the 60s when I first read The Grapes of Wrath I was an angry young man. The way the World treated the downtroden Joad family as well as all the migrant workers as less than human in the name of profit oturaged me. In the 60s we marched in the streets against discrimination of both blacks and women, disrupted the 68 Democratic National Convention, coined the phrase Make Love, Not War, and in general made a terrible nusiance of ourselves to the generation in power. We were young, full of energy, and out to change the World! Needless to say the book fit right in with my view of the Universe. Now I’m 67, retired, and comfortable. Reading the book now just depresses me. Since the beginning of Man, men have always repressed other men, taken advantage of the less fortunate men, and even murdered them. Should we be surprised that Hitler killed 8 Million, and that ISIS is beheading inocients? Evil has been with us since Cain and Able. Tom Joad was not a bad man. He just happened to be born the son of an Oklahoma sharecropper and just happened to become a young man during the Dust Bowl. It wasn’t Tom’s fault he was born in the place and time he was born. It was just a matter of chance. There But For Fortune by Phil Ochs and sung by Joan Baez paints the picture much better than I can. After reading the book I feel both fortunate and guilty that I was born in the time and place I was born. If not for chance I could have been Tom Joad, gassed in Auschwitz, or an ISIS hostage. In summary, The Grapes of Wrath stays on the list for now but its liable to be the first one knocked off. Tom Joad, a son, has just been released from prison for killing a man in a barroom fight. 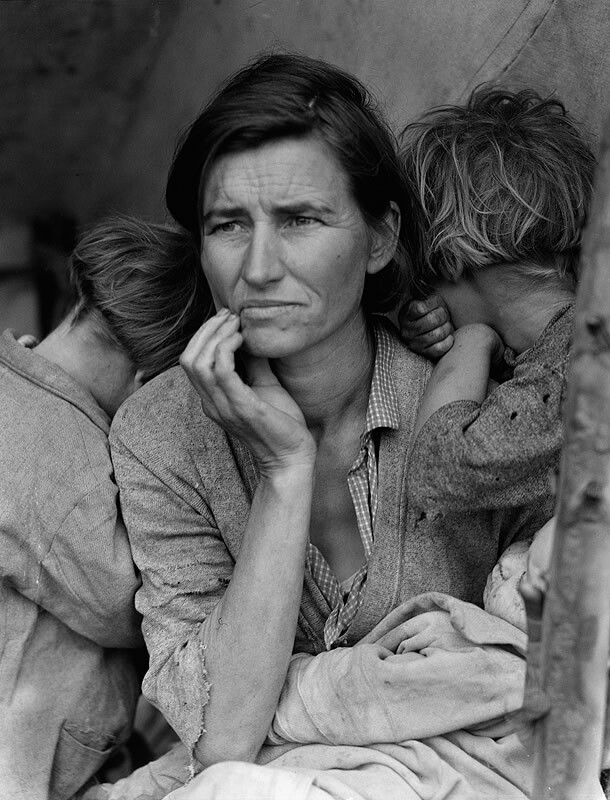 The Joads lose the farm and travel west to California hoping to find a better life. In California, they lives hand to mouth working in a varitey of farms picking crops. At the end of the book the Joads are broke, have no food, living in a barn, Winter is coming on, and there will be no work for at least the next 3 months. There are many science fiction genres: space opera, steampunk, cyberpunk, etc… The Doomsday Book by Connie Willis belongs in the near-future and time travel genres I suppose. The main theme of the book is time travel back to the 1300s to record life during the Middle Ages. The heroine calls her record The Doomsday Book. The Doomsday Book published in 1992 won both the highly prestigious Nebula, Hugo, and Locus awards. This is the first Connie Willis book I have read and on a scale of 1-5 stars I would give this book 4 stars. The book is set in Oxford England where the hero (Kirvin) is a female student. This alone makes the book unusual. There are not many heroines in science fiction novels. The setting is at the University in a near future (2054) where time travel is possible. A few pages into the book Kirvin travels back to the Middle Ages. Meanwhile life goes on in the near-future with Kirvin’s Professor James Dunworthy as the main protagonist. The book flips back and forth between Kirvin in the Middle Ages and near future Oxford. Life both in the Middle Ages for Kirvin and the near future Oxford for Professor Dunworthy is chocked full of trials and tribulations. They battle tremendous problems in their respective times as the narrative switched back and forth. Wikipedia contains a good summary of the book but I don’t recommend reading it if you plan to read the book. It will spoil the surprises. I just finished “The Scarlet Letter” by Nathaniel Hawthorne. I read this book 50 years ago in high school but I don’t remember anything about it except the location was Salem Massachusetts and a woman wore a scarlet “A” because she was an adulteress (pretty exotic when you are are 17 year old farm boy in Backporch Illinois). Although my favorite book genres are science fiction and history I surprisingly really enjoyed reading “The Scarlet Letter”. I read the book because its one of the Scientific American’s 10 novels that will sharpen your mind. I’ve read 8 with 2 remaining. The list below shows my progress. I thought the book would be boring because of the subject matter but it held my interest on every page. Of course being much shorter than Anna Karenina helps hold the reader’s interest. So far “The Scarlet Letter” is one of my three favorites. The other two being “Anna Karenina” and “The Reluctant Fundamentalist“. As an aside, my least favorite was “Middlemarch“. Don’t expect a cliffhanger. The reader can guess almost from the beginning that the reverend Arthur Dimmesdale was Hester Prynne’s (the adulteress) partner in love (er, crime in those days). However, the author’s exploration of the effects of sin, guilt, and intolerance are fascinating. Author’s vocabulary was much more extensive than mine. I can’t remember when I had to look up so many words! Can a guilty conscience really ruin your health and cause death? Witches and the “dark man” (the devil) were part of everyday life in those days. I noticed this book in the science section of a used book store while searching for an inexpensive copy of an astronomy book I wanted. Of course the title caught my eye – The Theory of Everything. Wow, it would be really cool to know the theory of absolutely everything! Sounded too good to be true! Since I was in a used book store the book was cheap. It was also short and the author was Stephen Hawking the famous physicist. The first chapter covers the evolution of man’s concept of the Universe starting with the Earth being the center of the Universe. Then the chapter progresses through time ending with Hubble’s discovery that the Cosmos is expanding more and more rapidly. Roger Penrose who proposed the concept of the Black Hole. Chapter 3 delves into Black Holes in depth. It covers the evolution of the Black Hole concept which was first proposed in 1783 although the term Black Hole was not coined until 1969. A Black Hole is simply a star sufficiently massive and compact that no light can escape from. White dwarfs and neutron stars are two closely related concepts. In all three cases this final state of a star is reached when it has burnt up all it’s fuel (hydrogen). The final state is determined by the mass of the star. Smaller stars become neutron stars; medium stars become white dwarfs; and larger stars become Black Holes. Chapter 4 reveals that Black Holes ain’t so Black. Basically, paired particles (one with positive energy and one with negative energy) near the Black Hole’s Event Horizon break apart. The negative energy particle falls into the black hole while the positive energy particle repels away from the Black Hole’s Event Horizon into the Cosmos. To the outside observer the Black Hole appears to be emitting particles. An interesting effect on the Black Hole itself is the Black Hole loses energy and mass based on E=MC2. After a long, long period of time the Black Hole would simply disappear. The Hot Big Bang Model: Assumes the temperature was infinite at the Big Bang and the Universe will cool off though the eons of time until it reaches absolute zero. However this model raises some troubling questions such as why was the temperature so hot, why is the Universe so Uniform, etc? The Inflationary Model: This model assumes a very rapid exponential expansion at the beginning. At some point in time the inflationary expansion ended much as water transitions from liquid to solid when it freezes. This model solves some of the more troubling questions of The Hot Big Bang Model. The core of this chapter is the direction of the first two times is towards what we perceive as the future. What a surprise! The Cosmological arrow of time is also towards the future because the Universe is still expanding. The question to ponder is will time reverse when the Universe stops expanding and begins to collapse? The professor believes not. However we have 10s of millions of years before that event so whichever case is true we don’t care. At the time of the lectures String Theory and Multi-dimensions were the most likely candidate. Close to 20 years have passed since Professor Hawking’s lectures. Still, the ToE has not been discovered and remains the main goal of most physicists.